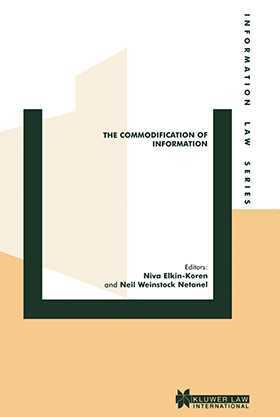 Information and the marketplace are uneasy bedfellows. It is particularly among groups that need to share information--the academic and scientific communities, for example--that viewing it as something that can be bought and sold is intrusive and even damaging. A conference of specialists--with expertise encompassing the area of law and practice where intellectual property, communications, privacy, free speech, collaborative research, and international trade all intersect--met under the auspices of the University of Haifa Faculty of Law in May 1999. This book presents the penetrating analyses and recommendations that emerged from that conference.